*VW Certified*, Heated Front Seats, Backup Camera, Bluetooth Connectivity, Clean Carfax - No Accidents, App Connect Smart Phone Integration, Fog Lights, 30+ MPG!, Alloy Wheels, Auto Trans, Titan Black w/Cloth Seat Trim, 4 Speaker Audio System, Radio: Composition Media w/6.3" Touchscreen, Steering wheel mounted audio controls. Volkswagen is proud to offer a 2-year or 24,000-mile (whichever occurs first) limited warranty on all our certified used Volkswagen vehicles. 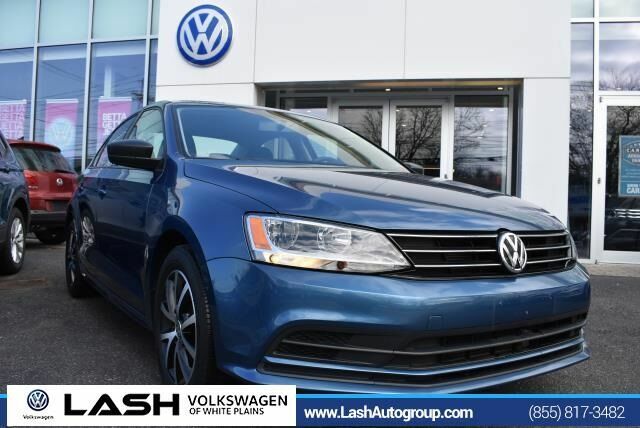 Volkswagen Certified Pre-Owned vehicles are put through a comprehensive 100+ point dealer inspection. Should a car not perform according to our strict VW standards, we won't certify it until we can correct the issues—using Genuine Volkswagen Parts, of course. -Recommended or required maintenance updates. There is a $50 deductible. Plus, you keep the balance of any limited warranties already on your certified used Volkswagen vehicle. Think of it as peace of mind on 4 wheels. Certified. CARFAX One-Owner.